After years of waiting, Daredevil fans were naturally excited when it was reported that the Man Without Fear’s most famous nemesis, Bullseye, was making his MCU debut in the upcoming third season of the Marvel/Netflix show, as played by Wilson Bethel. However, there’s been no official word to confirm this, so we’re still unclear as to the iconic assassin’s involvement, or lack thereof. Enter actor Naqam Washington, who may’ve just provided the confirmation that Bullseye’s on the way. 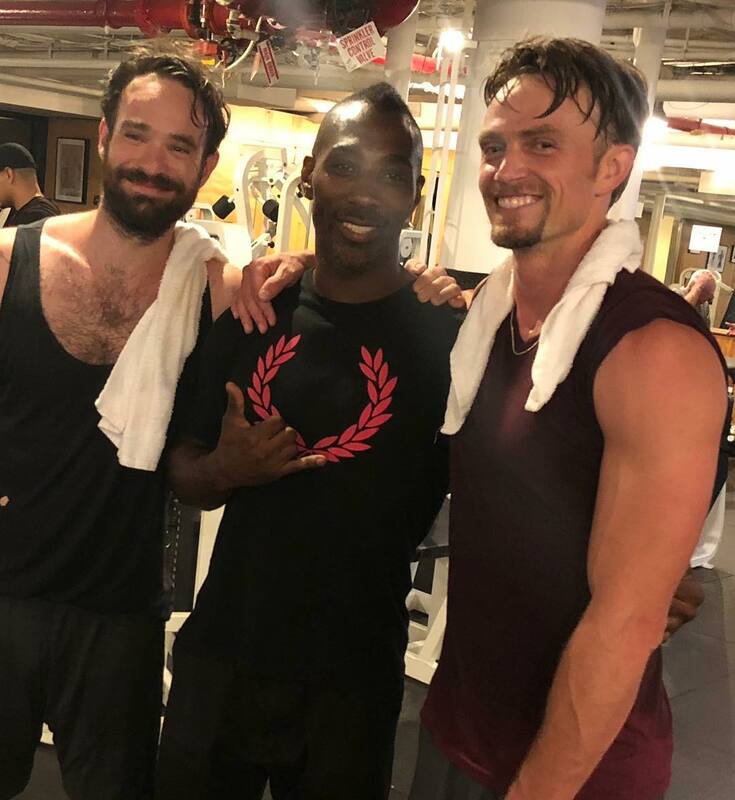 Earlier this week, he shared a post of himself, Bethel and Charlie Cox on Instagram, with the latter two clearly having just finished working out. It’s all innocent enough, until you notice the hashtags that Washington uses in his caption. If that isn’t enough proof for you, then it’s worth remembering the crew jacket for Daredevil season 3 that surfaced online a few months ago and featured a Bullseye symbol as a logo. Sure, Marvel could be playing a bit of a game here to throw fans off the scent by sharing misleading jackets and telling actors like Washington to point towards Bullseye, but we think the simplest explanation is that the villain’s indeed appearing on the show next season. From what we understand, the character breakdown for Bethel’s role describes him as an FBI agent named Steve who’s “socially awkward but athletic.” Sure, this doesn’t sound anything like Bullseye from the comics but, seeing as casting calls such as these always feature fake information to preserve spoilers, we’re not sure how much of this is true. As long as he doesn’t have a bullseye tattoo on his forehead like Colin Farrell in 2003’s Daredevil movie though, I think most fans would be willing to accept some divergences from the source material. Daredevil season 3 will land on Netflix at some point this year. First, though, we have Iron Fist season 2 to look forward to on September 5th.